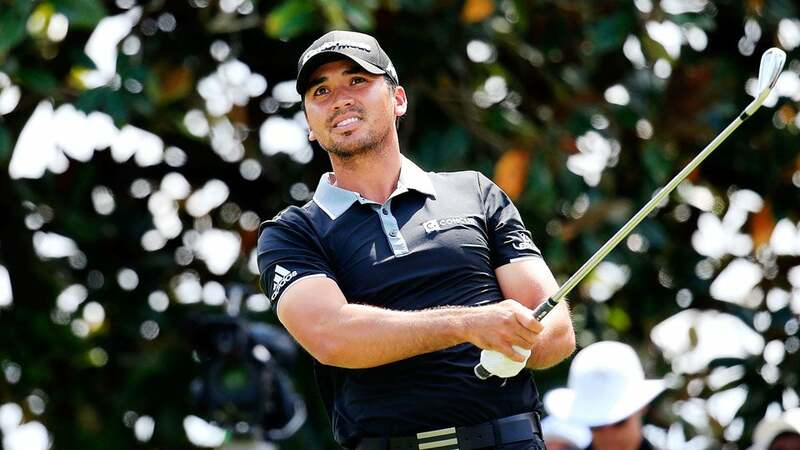 Jason Day snags his first win of 2016 with a virtuoso performance at Bay Hill. ORLANDO, Fla. (AP) Jason Day turned his fortunes at just the right time Sunday by making a 12-foot birdie putt and then saving par from just under 100 feet away in a bunker to win the Arnold Palmer Invitational. It was another great moment for Palmer, the 86-year-old tournament host who watched it unfold on the 18th green. Day closed with a 2-under 70 for a one-shot victory over Kevin Chappell, who looked as if he might finally win in his 150th start on the PGA Tour. Chappell didn't flinch the entire back nine until his tee shot was buried in deep rough on the 18th, forcing him to lay up. He hit wedge to 25 feet and was ready to putt when he heard the big roar when Day made birdie on the 17th to tie for the lead. ''Being honest, kind of had me rattled a little bit,'' Chappell said. He left his par putt well short and made bogey for a 69. The closing hole at Bay Hill was just as tough for Day. With a one-shot lead after Chappell made bogey, Day took water out of play from the right rough and went well left of the green into a bunker, 95 feet away with water on the other side of the green. Day blasted out to 4 feet and made the par for his first victory of the year. He moves to No. 2 in the world and will have a chance to overtake Jordan Spieth next week in the Dell Match Play. Four players had at least a share of the lead on the back nine. Day was the last man standing. Troy Merritt, four shots behind when he made the turn, ran off five straight birdies to catch the leaders, and then chipped in for par on the 17th to keep his hopes alive. But his approach on the 18th went into the water and he made double bogey for a 71. Merritt tied for third with Henrik Stenson, who was tied for the lead until failing to save par on the 14th and then finding the water for bogey on the 16th. He also shot 71. Day finished at 17-under 271. Chappell was sick all week after catching a bug from his young son. He took the lead with a two-putt birdie on the par-5 16th, hit a tough bunker shot close on the 17th to save par. The shot that cost him was his tee shot, and the lie was so atrocious that the only question was where to lay up. Rory McIlroy ended a wild week with his sixth double bogey - the most he has ever made in a PGA Tour event - along with two eagles and five birdies for a 65. He shot a 67 on Friday to make the cut. It was the 75s in the other two rounds that held him back. Adam Scott, coming off two straight PGA Tour victories, played the 18th hole in 5 over on the weekend. He made double bogey on Sunday and still shot 69. The four-man sprint required some help from Day early, and an improbable birdie run by Merritt after he made the turn. Day twice made bogey on the par 5s - a poor chip on No. 4 and a shot into the water on No. 6 - and went from a two-shot lead to a two-shot deficit. But he got right back into the mix with a towering shot out of the rough on No. 9 at a pin guarded by a bunker, so high that it landed softly on the green and rolled to a foot for a tap-in birdie. Merritt chopped his way to a double bogey on No. 9 to fall four shots behind, seemingly out of the mix until he began the back nine with four straight birdie putts, and then holing out from the bunker from 40 feet on No. 14 for his fifth straight birdie to share the lead. Stenson was the only one who didn't have a chance on the 18th. Day said he received a text from eight-time Bay Hill winner Tiger Woods on Sunday morning. He has talked about how much he turns to Woods for advice on such things as protecting a 54-hole lead. And then he delivered a clutch moment to win.